I’ve lived in some pretty awful places in my time, but even I have to take my hat off to the squalor in which Resident Evil 7’s Baker family resides. Given how filthy the house is – and how nasty its inhabitants – you wouldn’t expect it to be particularly fertile ground for a video game cooking show, but then Marguerite Baker does have a pretty strong fixation with food. 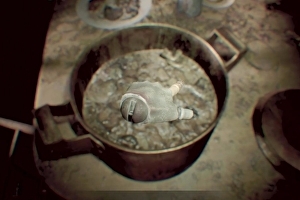 Not wanting to turn away from a challenge (and spurred on by our commenters), I decided to tackle Resident Evil 7’s Baker family dinner to see if I could make something that looks as suspicious as Marguerite’s cooking without, you know, poisoning anybody. The ideal dish to fit the brief, as it so happens, is one of my all time favourites. You can see what Aoife and Chris thought of it when I forced them to try it in the video below – the recipe is posted below that. 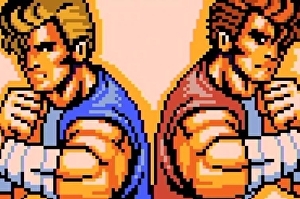 Some of my earliest and fondest gaming memories revolve around playing the Double Dragon games with my brother. I vividly remember unwrapping the Spectrum +3 disk version of Double Dragon 2 for Christmas in 1998 for instance, and then a year later we wasted countless hours of our lives on the vastly different NES version of the same game. That’s why, when Double Dragon 4 was announced late last year, I got a little bit excited. Visually it’s identical to the NES version of Double Dragon 2, with sprites and even graphical glitches lifted straight from the 8-bit era. I’m really looking forward to The Legend of Zelda: Breath of the Wild. While I have a few concerns about the Nintendo Switch, its open world launch game looks stunning – you can chop down trees, use the physics engine to make elaborate Link catapults, and you can even cook things over a fire. I’m especially looking forward to that last one. 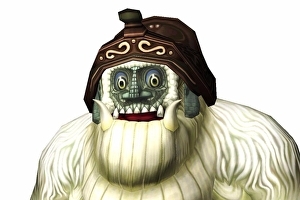 Of course, this isn’t the first time The Legend of Zelda has piqued my culinary interest – Twilight Princess features a protracted (and charming) segment in which you have to gather ingredients to prepare some superb soup for Yeta, a denizen of Snowpeak who’s feeling a bit poorly. I’ve been meaning to give this soup a go in real life for a long time now and it also happens to be one of our most requested recipes so, in the latest edition of Chiodini’s Kitchen, I tried my hand at making Yeto’s Superb Soup. You can see how I got on in the video below, then find a very rough recipe below. I winged this one so the quantities aren’t exact, but watch the video and you’ll get an idea of how much of each you should be using. 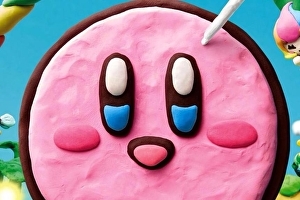 Stop to think about it long enough, and it’s hard to avoid reaching the conclusion that Kirby is an eldritch nightmare the likes of which H.P Lovecraft would have been proud. Possessed as he is of a voracious appetite and a seemingly endless maw, he inhales all those who stand in the way and takes their very essence for his own. He’s the quintessential soul eater. The only thing that’s ever passed Kirby’s lips and given him pause, in fact, is the super spicy curry, an in-game item that makes him spew fireballs across the screen. While I can’t lay claim to having consumed anyone’s soul recently, I did at least give a recipe for the super spicy curry a whirl. You can see how I got on in the video below and, if you feel like whipping up a batch yourself, the recipe is posted below that. The nice thing about filming a different video game recipe each week is that we’re never short of suggestions from our viewers. Having made eight different video game dishes now you’d think we’d be running out of ideas, but the recipes just keep coming in (I promise I’ll cook something from Skyrim eventually). The downside of all this, of course, is that sometimes a suggestion comes in that’s too good to ignore but also sounds disgusting. 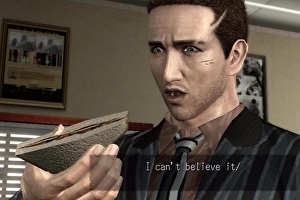 This week’s episode is a perfect example, as it fell to me to make the sinner’s sandwich from Deadly Premonition. In case you need reminding, the sinner’s sandwich is a heady mix of turkey, strawberry jam and cereal. While it’s hardly Michelin star cuisine, it is at least easy to put together. You can see how I got on in the video below. When Nioh at last year’s Tokyo Games Show, I have to admit I was a bit disappointed – mainly because the trailer’s opening seconds made me think there was a new Onimusha on the way. 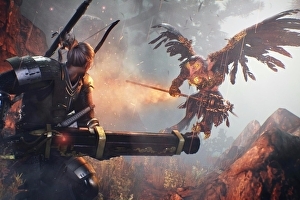 Having had time to adjust, I played a new demo section of Team Ninja’s upcoming action game last week, and I’m pleased to report that Nioh is looking very robust indeed. The demo section, a level cheerfully titled Defiled Undead Mountain, is a tricky beast stuffed with foot soldiers and Yokai; intimidating creatures pulled straight from the annals of Japanese folklore. And while I enjoyed having a new section of the game to sink my teeth into, I also found it a surprisingly instructive experience – which is a polite way of saying I died a lot before I got the hang of things. With these lessons fresh in mind, I’ve knocked together a couple of useful tips to help you get started with the game when it launches next month; you can also get a good look at the Defiled Holy Mountain along the way. 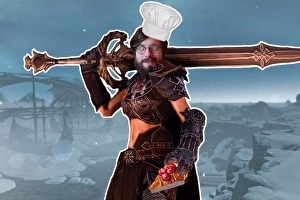 Sambocade is a type of cheesecake dating back to 14th Century England, so it should come as no surprise that it makes an appearance in Neverwinter, the Dungeons and Dragons MMO. In Neverwinter, consuming some sambocade will grant you 5000 additional maximum hitpoints and 1000 additional movement for 1000 seconds. Inspired by these impressive stats, I decided to try and recreate it myself, though unfortunately I think the resulting cheesecake is more likely to slow you down than grant any additional movement. Nonetheless, you can see my somewhat haphazard attempt to recreate the Neverwinter Sambocade in the video below. If you fancy trying it out for yourself, you can consult the recipe below that. We all have that game, don’t we? 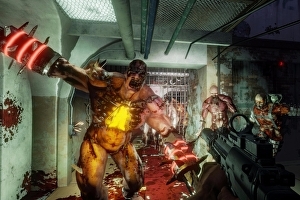 The one that, while yes, the years have shown you that other games may have done it differently and better, and that while – eesh did those textures always look like that? – some elements may not have been as polished or as groundbreaking as you remember them, your fondness is tied to more than just the mechanics or even the characters. 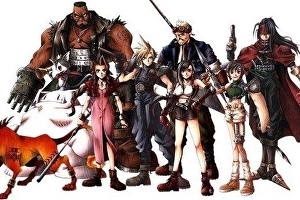 I know we have a tendency to overhype or overexaggerate just how brilliant/influential a game FF7 was, but I’ll always regard it as a favourite because of summer evenings spent huddled up against the TV screen, conferring with friends over rumours of secret characters and items, getting midi themes stuck in a loop in my head for weeks on end. So yeah, I’m a little bit protective when Johnny comes along, never having played more than an hour of a Final Fantasy game in his life, to give it a try. He took my incoherent gushing over a 20 year old JRPG very much in his stride, but I am disappointed that we didn’t get very far. It’s interesting seeing the game again through new eyes though, even if it makes me even more nervous as to how the remake will turn out. I’d be quite keen to do a full Let’s Play of Final Fantasy 7 as the Remake’s launch approaches, so hopefully, time permitting, that’s something we can have a think about doing. Until then, what are your thoughts on how Square Enix and Tetsuya Nomura can make the FF7 remake a success? I’ve been enjoying Dishonored 2 a lot recently, so I thought I might start a playthrough as Corvo on our YouTube channel. That’s about as involved as the thought process got, really – I can’t really promise you anything more high-concept than that. If that’s not a deal breaker, however, then have I got a video for you. 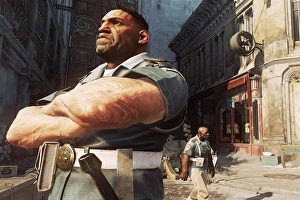 In the first part of what (I hope) will be a full run at Dishonored 2, Corvo and I bust out of confinement and cross the dingy streets of Dunwall to an exciting new venture in Karnaca. Cack-handedly. Click the video above for abortive attempts at stealth and a short game of ‘how many unconscious guards can we fit in one metal storage container’.